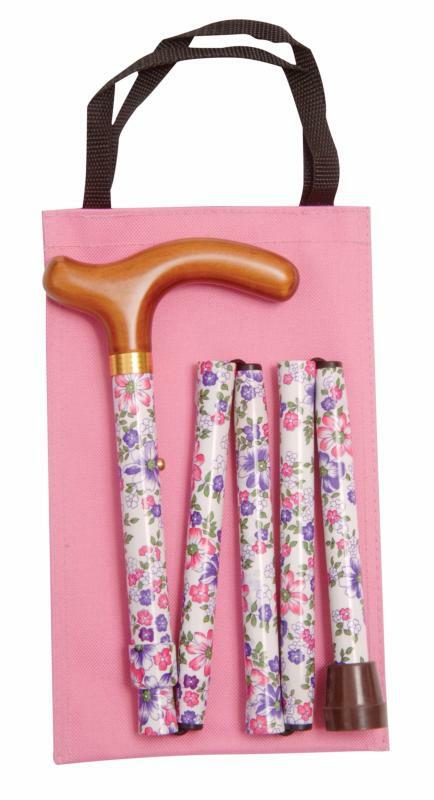 A very convenient folding walking cane. The pattern is of pink and purple flowers on a white background. It folds to five sections instead of the usual four, and so is more compact when folded. Fitted with a wooden crutch handle and a non-slip ferrule, the aluminium shaft is height adjustable between 81-89cm (approximately 32"-35"). It is packed with a useful carrying wallet in a complementary shade of pink.